Several weeks ago, I went to a workshop at my friend's house to learn how to make sandals. They're orange, and I love them. They are exactly the style I wanted, and they fit perfectly. I didn't go in thinking I'd make orange sandals. Serendipity at its best. And now? Wyatt wants a pair. He doesn't want a pair exactly like these, of course, but he wants a pair perfect for him, and preferably orange. And why not? I mean, from his perspective, I can obviously make sandals. So why would I hold out on him? I wouldn't hold out on him. But he has no idea how much assistance Rachel gave me during the workshop. She helped me a lot--I almost made two right sandals before she stepped in. But the truth is, Wyatt has a 2-week long spring break coming up, and aside from finally updating our earthquake kit (dreaded task), we've got few plans. 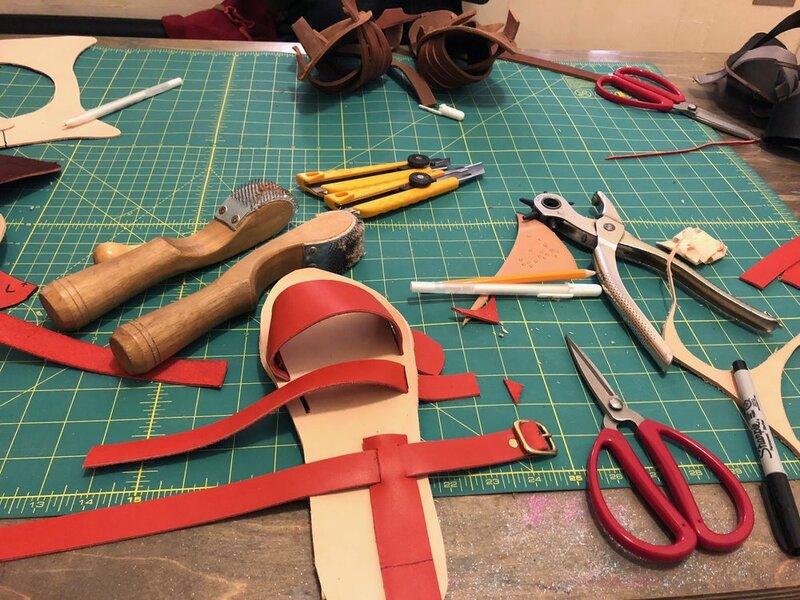 Sandal making could be fun! And best case, we solve some summer footwear issues. Worst case? We don't. 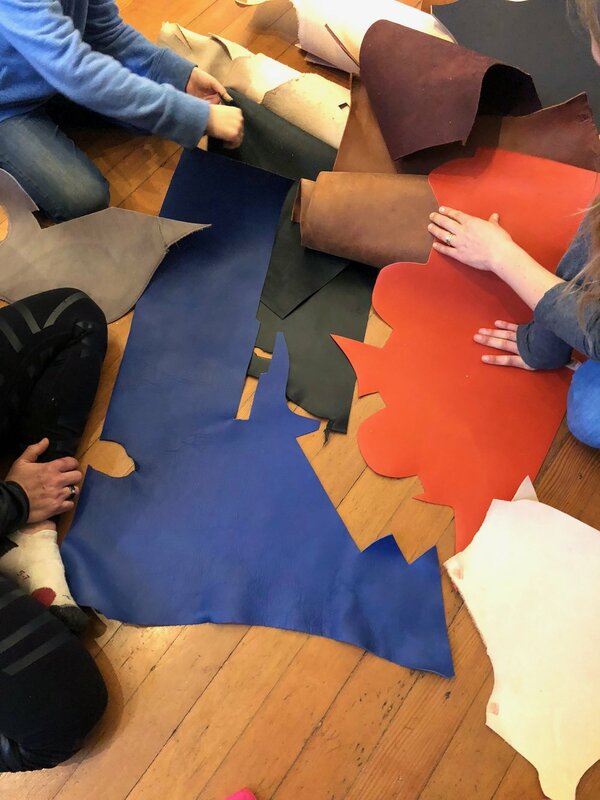 I sat down today to price the tools we'll need, and they are, in total, about the price of the pair of sandals Wyatt likes but whose leather is, in his opinion, too rigid and uncomfortable. In other words, the tools are not that expensive when you consider the sandals he wants-but-doesn't-want will spark arguments and not get worn much. So we have a plan: Spring Break Sandal Making. I'll let you know how it goes. Also, in case you're hungry, I have a new recipe to share! We've made Sri Lankan Dal with Coconut and Lime Kale twice now, and it's delicious. It works well with whatever kale or other hearty greens you've got around this time of year. Today, I used a combination of kale and swiss chard, and it was great. One note: The recipe calls for "mustard seeds." I use black mustard seeds, because that seems right to me. Don't skimp on the yogurt when you serve it! It would be a pity to miss out on how it balances the flavors and textures of the dish.